Bank company which performs commercial banking operations, mortgage banking and other related financial activities. (Nasdaq: SASR). Reviews and Comments for Sandy Spring Bancorp, Inc.
Savings and loan holding company with subsidiary which performs savings banking operations, mortgage banking, investment banking services, and insurance services. (Nasdaq: HOMF). Savings and loan holding company with subsidiary which performs savings banking operations, mortgage banking services and other related financial activities. (Nasdaq: GFED). Savings and loan holding company with subsidiary which performs savings bank operations, mortgage banking, investment banking services and other related financial activities. (Nasdaq: COOP). Savings and loan holding company with subsidiary which performs savings banking operations, mortgage banking services and other related financial activities. (Nasdaq: AFBC). Savings and loan company which performs savings bank operations, mortgage banking, and other related financial activities. Offers online banking, list of products and services, and locations with hours. Savings and loan holding company with subsidiary which performs savings bank operations, mortgage banking, investment banking services, insurance services and other related financial activities. (Nasdaq: FNGB). Bank and savings and loan holding company with subsidiaries which perform commercial banking operations, savings bank operations, mortgage banking, trust services, credit card services, insurance services, and investment banking services. (Nasdaq: FMBN). Bank and savings and loan holding company with subsidiaries which perform commercial banking operations, savings bank operations, mortgage banking services, insurance services, investment banking services, credit card services and other related financial activities. (Nasdaq: FWWB). Bank and savings and loan holding company with subsidiaries which perform commercial banking operations, savings bank operations, investment banking services, trust services, insurance services, credit card services, mortgage banking, leasing and other related financial activities. (Nasdaq: CBSS). Savings and loan holding company with subsidiaries which performs savings bank operations, insurance services, mortgage banking services, investment banking services and other related financial activities. (Nasdaq: MAFB). Savings and loan holding company with subsidiary which performs savings bank operations, mortgage banking services, insurance services, investment banking services and other related financial activities. (Nasdaq: GTPS). VanCity offers a full slate of banking services to greater Vancouver area members including mortgages, savings, loans and online banking services. Savings and loan holding company with subsidiaries which perform savings bank operations, mortgage banking services, insurance services, trust services, investment banking services and other related financial activities. (Nasdaq: CITZ). performs savings bank operations, mortgage banking and other related financial activities. includes online banking information and account access, new account policies and procedures, and branch locations. Bank and savings and loan holding company with subsidiaries which perform commercial banking operations, savings bank operations, mortgage banking, trust services, investment banking services, investment advisory services, leasing, insurance services and other related financial activities. (Nasdaq: FITB). Bank and savings and loan holding company with subsidiaries which perform commercial banking operations, savings bank operations, mortgage banking, trust services and other related financial activities. (Nasdaq: OVBC). Savings and loan holding company with subsidiary which performs savings and loan operations, mortgage banking, credit card services, investment banking services, leasing, insurance services and other related financial activities via the internet. (Nasdaq: NTBK). Bank and savings and loan holding company with subsidiaries which perform commercial banking operations, savings bank operations, mortgage banking, insurance services, and investment services. (Nasdaq: IWBK). If the business hours of Sandy Spring Bancorp, Inc. in may vary on holidays like Valentine’s Day, Washington’s Birthday, St. Patrick’s Day, Easter, Easter eve and Mother’s day. We display standard opening hours and price ranges in our profile site. We recommend to check out ssnb.com/ for further information. 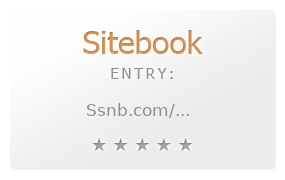 You can also search for Alternatives for ssnb.com/ on our Review Site Sitebook.org All trademarks are the property of their respective owners. If we should delete this entry, please send us a short E-Mail.